Today we have a special treat! Step into the world of the Annual Pulpwood Queens’ Girlfriend Weekend with author Kellie Coates Gilbert! It’s an event filled with authors and readers. Have you been there as either? Share your experience in the comments. Look fun to you? Let us know what you think! 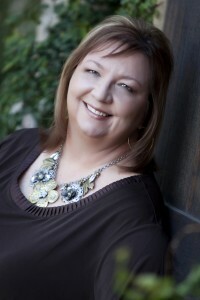 And please welcome Kellie Coates Gilbert back to Women’s Fiction Writers! Author Kellie Coates Gilbert Goes Around The World With Books—In Texas! A few weeks ago, I attended the 15th Annual Pulpwood Queens’ Girlfriend Weekend in Nacogdoches, Texas. This was my fourth time to attend, and I’ve had a ball each time. The weekend—a place for book club members to meet and mingle with their favorite authors—is truly larger than life FUN! For those who don’t know, it starts with a Thursday night gathering where the authors serve plates of down-home Texas BBQ to the book club members who’ve just pulled into town, wearing hot pink, animal print and tiaras on their heads. This year, the theme was AROUND THE WORLD WITH BOOKS and the waiters (also known as authors) dressed as flight attendants, astronauts and pilots. All day Friday and Saturday, authors sit on panels where they answer questions that Head Queen Kathy L. Murphy and her co-host Jamie Ford, author of the New York Times Bestselling book Hotel on the Corner of Bitter and Sweet. Readers get a chance to learn what inspired the stories, how authors came up with their characters and what stories still burn to be told, among other things. I introduced WHERE RIVERS PART, a story about a food scientist who finds her career dreams shattered when a foodborne illness breaks out under her watch. As she unravels a corporate conspiracy, she discovers her ambition came at a very high price. (I’m in the blue jacket in one of the photos above). When the author panels conclude each day, the real fun begins! On Friday night, we had a block party on the streets of the historic downtown in Nacagdoches. Store owners decorated and held specials for attendees. There was a photo booth and music and lots of fun. Saturday night is the pinnacle event . . . the great HAIR BALL where the book clubs decorate their tables and wear themed costumes. Authors too. Fun. Books. Laughter. Costumes. Readers and authors. That in itself would be enough for a memorable weekend, but even more important is that ALL of this is done to promote literacy. The proceeds from a silent auction (items furnished by authors) go to the local Dolly Parton Imagination Library project. Thank you Kathy L. Murphy and the Pulpwood Queens! I can’t wait for next year! A former legal investigator and trial paralegal, Kellie Coates Gilbert writes with a sympathetic, intimate knowledge of how people react under pressure. Her stories are about messy lives, and eternal hope. What fun! Thanks for sharing your Pulpwood experience, Kellie. Best of luck with WHERE RIVERS PART. Sounds great! Kellie, this looks like a BLAST! We don’t have anything nearly as cool here in the chilly north. Thanks for sharing. Fun to learn about all the events out there for writers and readers! Thanks for sharing your experiences. I just learned about this event last week! Sounds like a hoot ‘n a holler!